A whale’s flukes are distinctive and important parts of its anatomy--and some of the most commonly seen by observers in a boat or the shore. 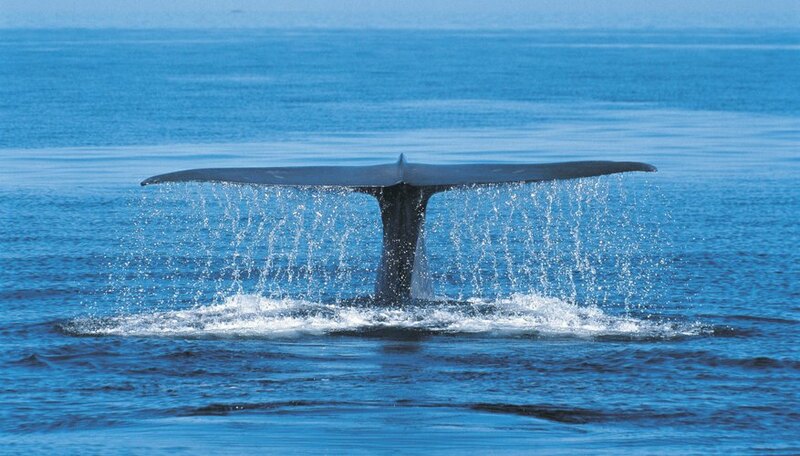 A whale’s flukes are its tail fins, which are composed of flesh and not anchored by skeletal anatomy. In all species, they are flattened horizontally. 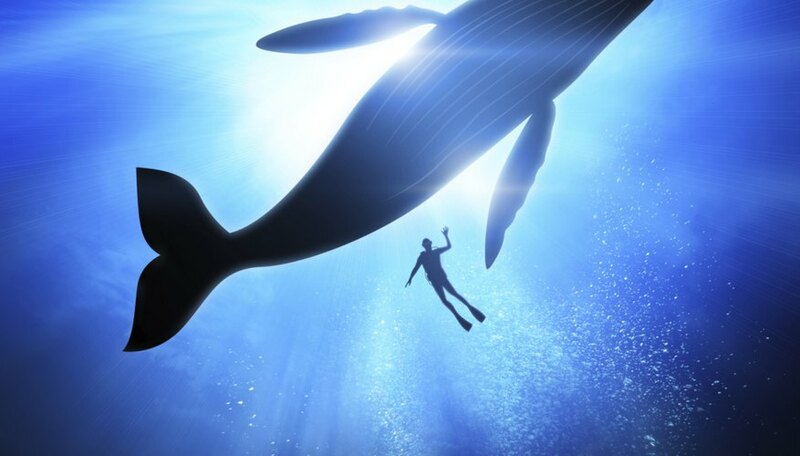 The portion of the whale’s body that tapers to the flukes is called the caudal peduncle. 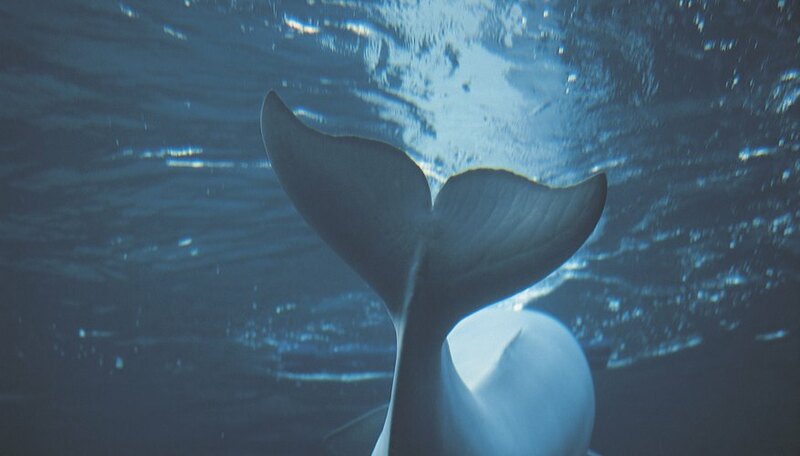 This powerful tail stock is usually proportionately narrow, likely an adaptation to reduce resistance for the swimming whale. 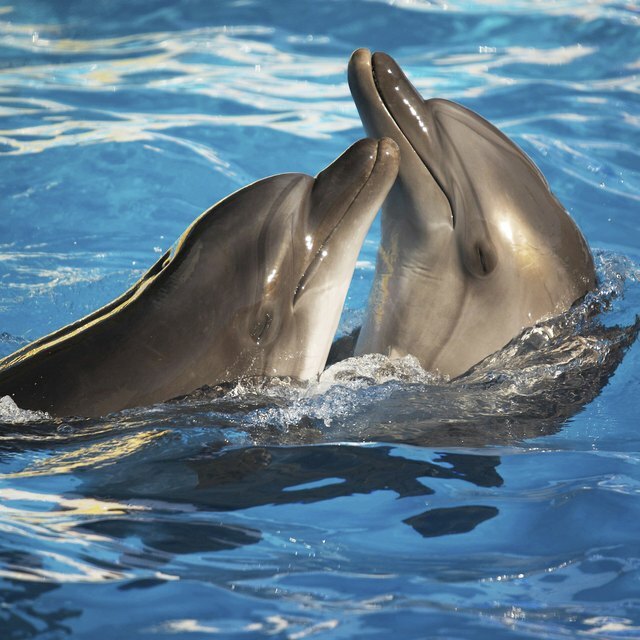 The muscles of the peduncle are the engine for the whale’s forward motion: The tail surges up and down in undulating fashion, and the flukes thus propel the animal ahead. 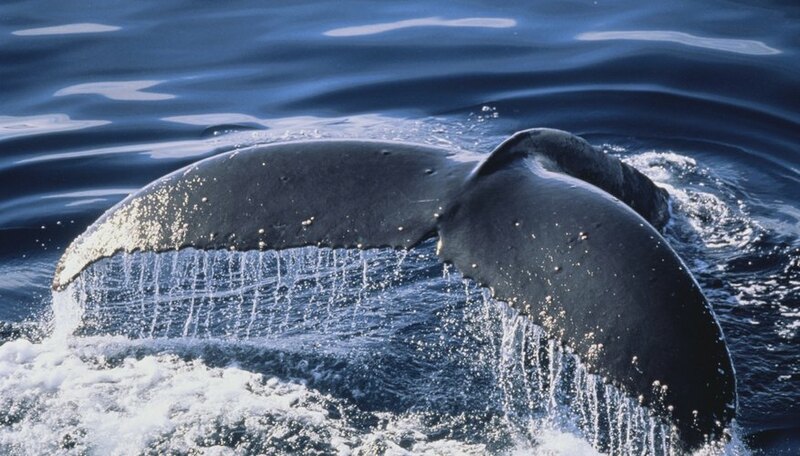 The flukes of the great whales vary in shape. 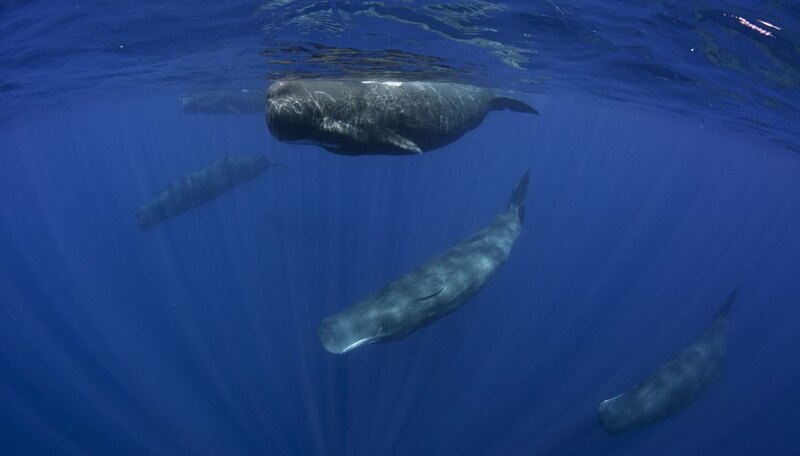 Those of sperm whales, for example, describe a triangle with their rear edge straight. 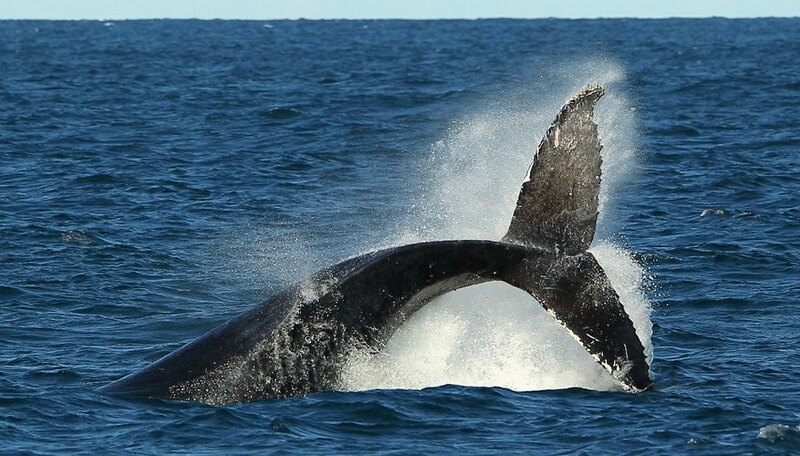 A humpback whale’s flukes are broader, more slender and concave. Whale researchers often use the irregularities of a whale’s fluke--easy to see from the surface when the animal is sounding--to distinguish between individual whales. Shaw, Ethan. "What Is a Whale Fluke?" Sciencing, https://sciencing.com/whale-fluke-5899088.html. 24 April 2017.